Almost a third of personal injury law firms in the north-west have seen fee income drop due to the introduction of LASPO reforms on 1 April, new research has found. More than 70% of respondents said that the regulatory and structural changes have had a negative impact on their businesses. 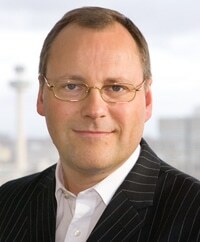 Of more than 300 managing partners asked by Liverpool firm O’Connors – which specialises in advising other law firms – just 15% believed the impact is likely to be positive. A total of 41% said there had been a noticeable decrease in new business enquiries since the introduction of the referral fee ban and 29% said the same about their fee income. An earlier survey conducted by O’Connors in February predicted ‘financial meltdown’ in the sector, with almost a fifth firms considering shutting up shop and many predicting huge cuts in their profitability as a result of the new RTA portal fees. 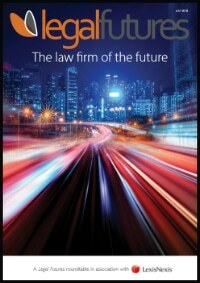 Although today’s survey of the same firms, seen exclusively by Legal Futures, bears out many of those concerns, O’Connors partner Nigel Wallis said the picture was not quite as bleak as previously speculated. Mr Wallis said: “The fear of the unknown is always worse than the reality. We’ve done a comprehensive survey of the market and found that there is less pessimism than there was before the costs reforms. Perhaps it is a little early following the reforms and that the reality has yet to bite. The report suggests the SRA is clearly concerned about potential financial failures in the sector. At least a third of the firms have received an unsolicited direct communication from the SRA since 1 April, of which 11% said the SRA were seeking assurances about financial stability. Mr Wallis said: “Anecdotally, firms are telling us that SRA is more concerned with having to make an intervention than on what firms are doing about the referral fee ban. In the February survey, many managing partners were actively trying to restructure arrangements so that cases were self-referred by claimants. More than half were planning on increasing direct marketing spend; 43% were looking into paying a referrer for marketing services; and a third were considering joining a ‘not for profit’ marketing collective. Those alternative models mean that just under half (47%) now claim that the issue of regulatory compliance with third-party referrers or recommenders is no longer applicable. However, the lack of appetite for converting into an ABS – with the option that provides of acquiring referrers to bring marketing in-house – continues. In February, just 19% were planning to become an ABS – the same amount as were considering ceasing trading. Now, nine out of 10 law firms surveyed said they had not put in an application to the SRA for ABS approval. Two-third of those that had already had their licences; all described the process as “too long”. According to the survey, professional indemnity insurance costs are a looming problem for some firms, with 63% anticipating an increase in premiums for October’s renewal. Recent insurer failures were quoted as compounding the uncertainty, with the result that some are taking advantage of early renewal offers. O’Connors said an apparent ‘flight to quality’ may account for the 60% who said they select their insurance cover based on insurer rating over cost. 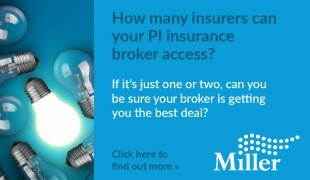 Just 3% tend to go for the cheapest quote regardless of insurer rating. Financial uncertainty in the sector resulted in 70% of managing partners identifying that the attitude of funders such as banks, finance companies and potential investors, towards law firms is getting worse. Only 4% think it is getting better. Mr Wallis said lawyers must find alternative ways of financing their firms and reducing debt until the upheaval in the sector settles down. Mr Wallis said there were reasons for optimism despite the challenging PI market, and that “entrepreneurial lawyers” were using the opportunity to seize market share, innovate, acquire and transform their businesses into “leaner and fitter” models.